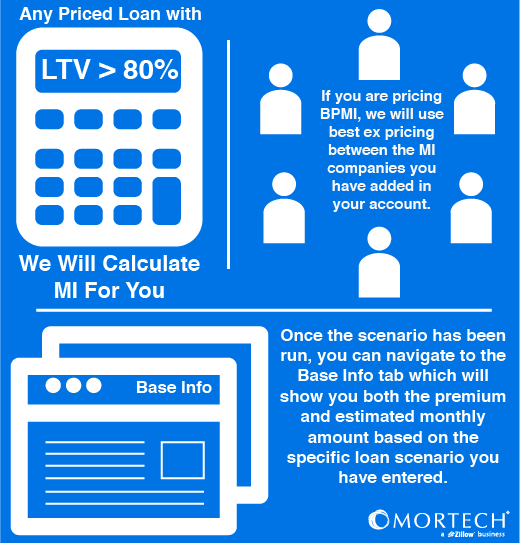 Every time you price out a loan in Marksman with an LTV that is greater than 80%, we will calculate the MI for you. If you are pricing BPMI, we will use best ex pricing between the MI companies you have added in your account. Once the scenario has been run, you can navigate to the Base Info tab which will show you both the premium and estimated monthly amount based on the specific loan scenario you have entered.